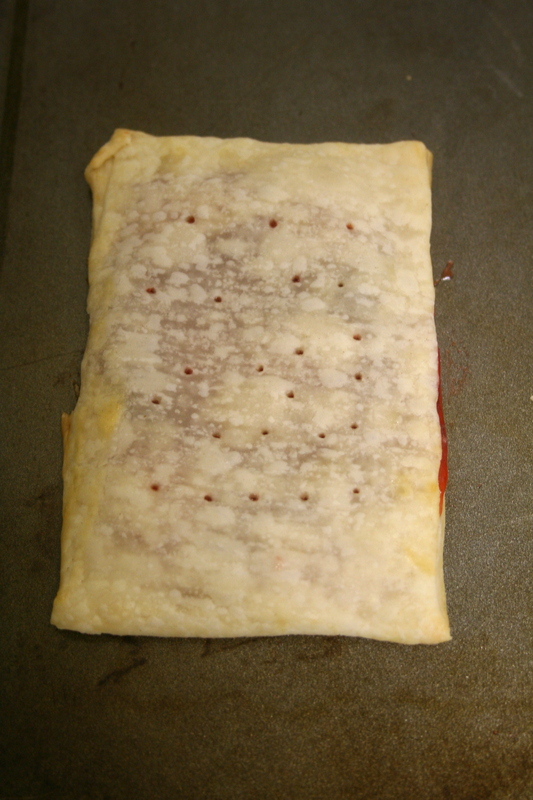 i’ve always wanted to try homemade pop tarts and a cloudy sunday afternoon was the perfect excuse! 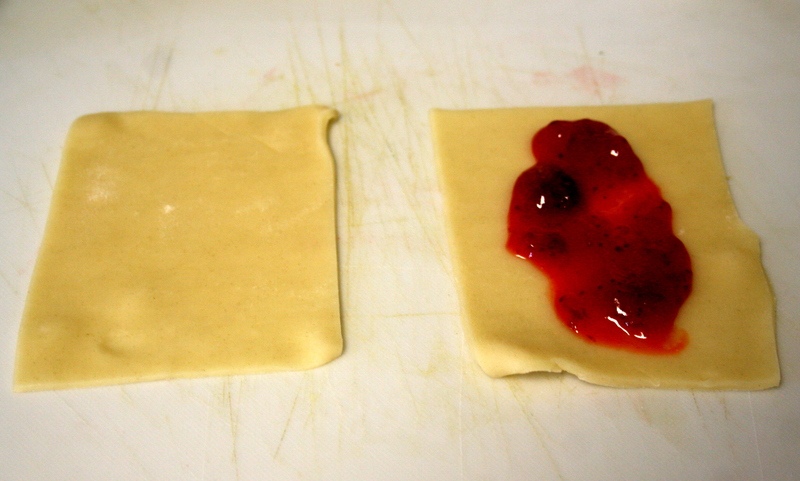 i used frozen pre-made pie crusts (my new favorite cooking tool) and strawberry jam. 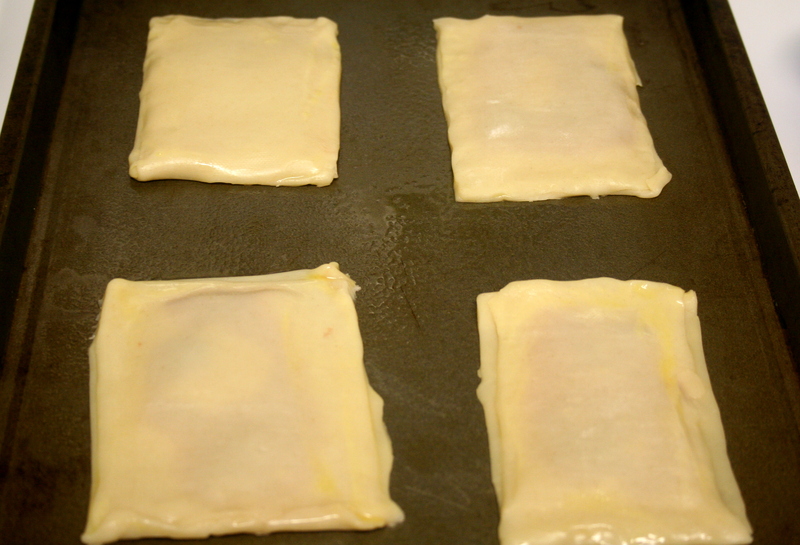 after preparing the pastries, i popped them in the freezer for 10 minutes before putting them in the oven (350 degrees) to bake for 10 minutes. 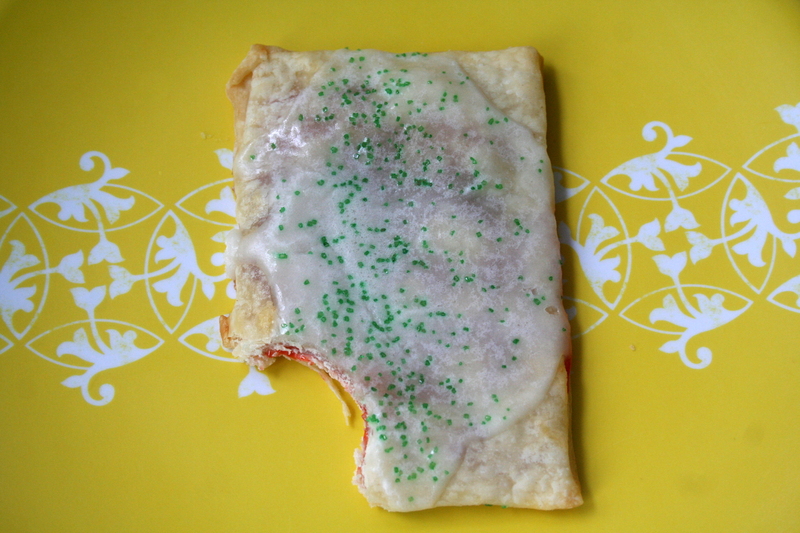 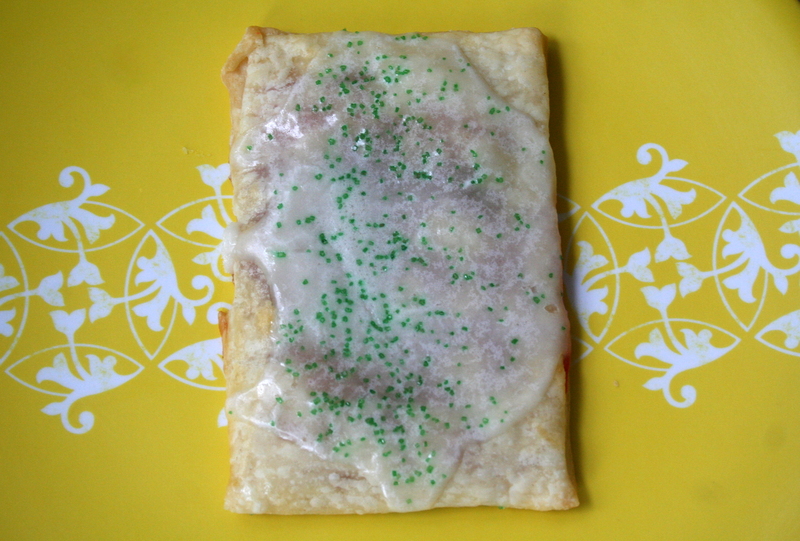 while they were in the oven, i made frosting and spread it over the pop tarts right when they got out of the oven.